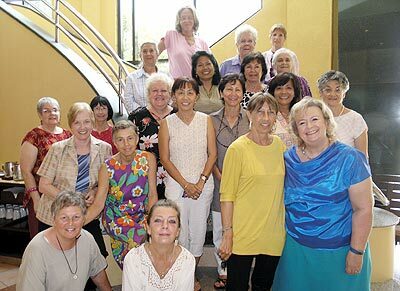 The lovely ladies from the monthly “Lunch Bunch” met recently for lunch at the Novotel. The venue was appropriate, since their first lunch took place in this hotel eleven years ago with just eight founder members, three of whom were present in the total of thirty who came for this occasion. Pictured are Margaret Bhadungzong, Audrey Dootson and Ram M. Jafri. 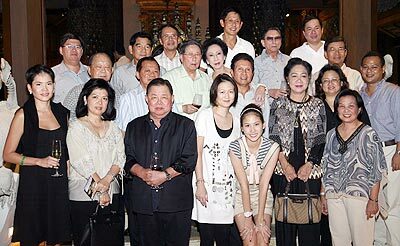 Chamnong Bhirom Bhakdi and Khunying Supachari Bhirom Bhakdi (centre) pose for a group picture with family members and friends in front of the Farang Ses Restaurant Manderin Oriental Dhara Dhevi. 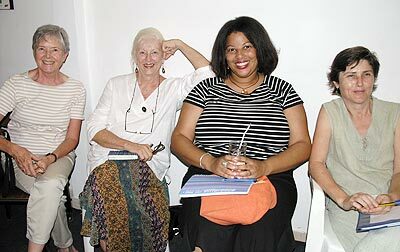 Suzie Wong, Suzie Q, Christa and Caroline listen to what the Mayor says at the INTG meeting recently. 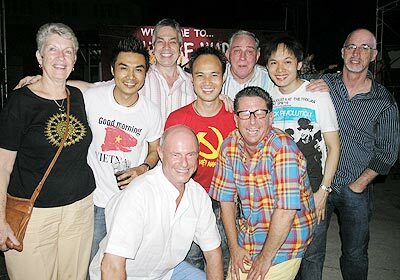 The Absolute Hair Design boys celebrating a very special party with friends. The ‘Mae-rimers’ won the monthly Garden Bar quiz. 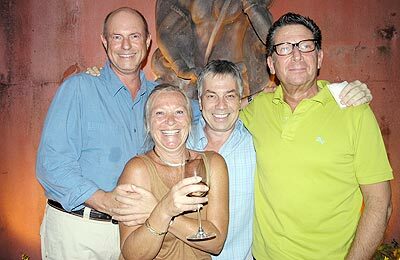 Pictured are John R., Sally, John M. and Howard (l/r).